Lin, S.-P., Yang, H.Y. (student), Chan,Y.-H. (student), Yang,C.C. (2008) , ” Developing indicators of HRM effectiveness for Taiwan’s healthcare organizations”, Journal of Management, 25(4),441-449.(TSSCI). Lin, S.-P., Chao, A., (2005). Discrete-Time vs. Continuous-Time Capture -Recapture Models—In Honor of the Retirement of Professor T.Y.Hwang’s Retirement. Journal of Chinese Statistical Association, 43(2), 199-215. Lin, S.-P., Chen, Lu-Fang, Chan, Y.-H.(2009/6), What´s the valuable service gap for improving customer satisfaction,The 6th International Conference in Service Systems and Service Management (ICSSSM’09), Xiemen, China. Lee, C.H. , Lin, S.-P., Lin, C.-C, Li, T.-C. and Tseng, M.-W. (2006/7), A study on the effectiveness for “The National Health Insurance Project of Integrated Delivery System in Mountainous and Islet Districts in Taiwan based on the contents of service gaps model analysis, the 16th International Conference on Pacific Rim Management, Association for Chinese Management Educators (ACME), Hawaii, U.S.A.
Lin, S.-P., Chan,Y.H. 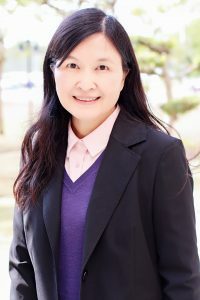 and Tsai, M.-C.(2006/7), Developing indicators of HRM effectiveness for Taiwan’s healthcare organizations” , the 16th International Conference on Pacific Rim Management, Association for Chinese Management Educators (ACME), Hawaii, U.S.A. .
Chi-Hsuei Lee, Lin, S.-P., Cheng-Chieh Lin,Tsai-Chung Li and Ssu-Wen Hung(2005),”An Investigation on current practices of “the national health insurance broject of integrated delivery system in mountainous and is let districts” in Taiwan”, International conference of Pacific Rim Management, San Diego, U.S.A.